The first of our destination features delves into the best places to see and be seen this autumn in cosmopolitan Copenhagen. An ideal weekend destination, here are Skytime’s favourite spots in Denmark’s capital. Sink into a leather armchair, soak up the atmosphere and order one of 1656’s signature cocktails in this effortlessly cool bar. There are always seasonal tipples to choose from as well as a comprehensive list of traditional favourites. The ambience is sophisticated yet cosy, with dark interiors. 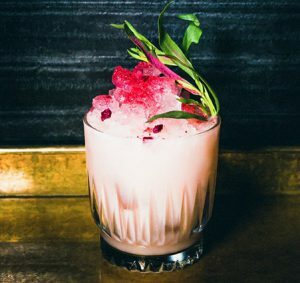 Highly skilled mixologists deliver delectable cocktails and you’ll find it hard to resist staying for ‘just one more’. Ever since the world famous Noma opened its doors in 2010, the spotlight has been firmly on Copenhagen as a diner’s delight. 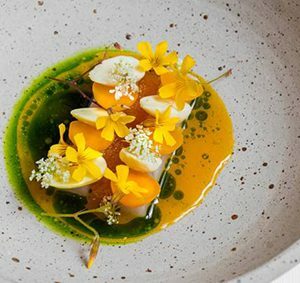 With Noma temporarily closed as it undergoes relocation, we think that Restaurant AOC is one to watch. With two Michelin stars, it’s located in central Copenhagen in the vaulted cellars of a 17th century mansion house. The restaurant’s ethos is to provide the ultimate sensory experience stimulating your sight, smell, sound and taste. Using seasonal Nordic produce you can indulge in either four, seven or ten course menus. Take a wander through the harbour area and you’ll find the creative hub that is Studio Arhoj. Originally conceived in Tokyo, the studio creates stunning pieces that fuse Scandinavian simplicity with traditional Japanese culture. The studio is open to the public six days a week and the perfect place to pick up a truly unique creation. For high end pre-owned designer wear, look no further than the charmingly named I Blame Lulu. Only the finest items make the rails, making it the most decadent dressing up box of discoveries that we can possibly imagine. Many of the items are available on the website, but for all the latest arrivals, your best bet is a prolonged browse in the store in person. Images provided (in order) courtesy of Visit Copenhagen and Jacob Schjørring & Simon Lau, 1656 Bar, Restaurant AOC.